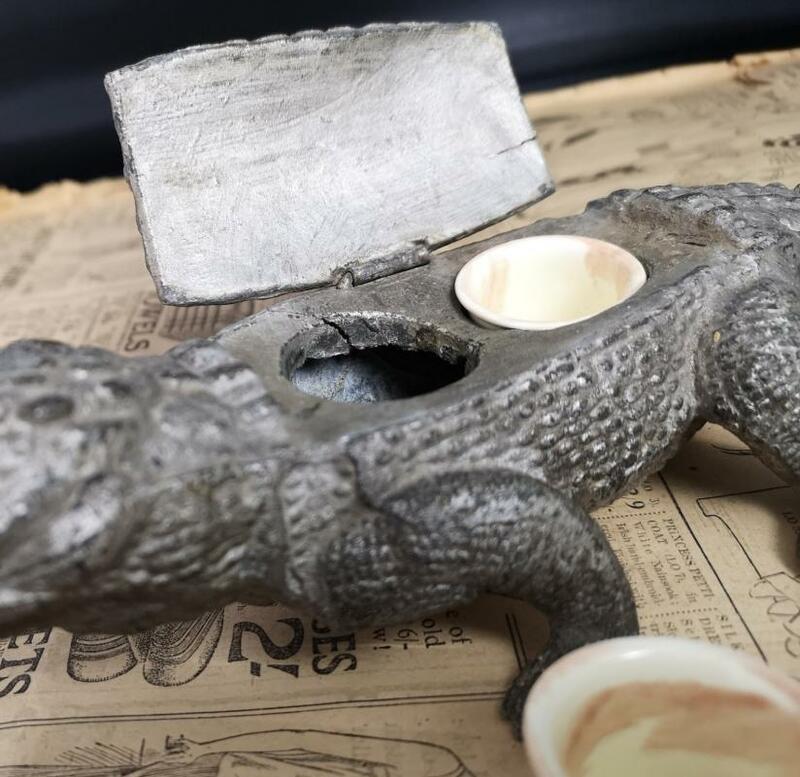 Incredible, grand 19th century figural inkwell. 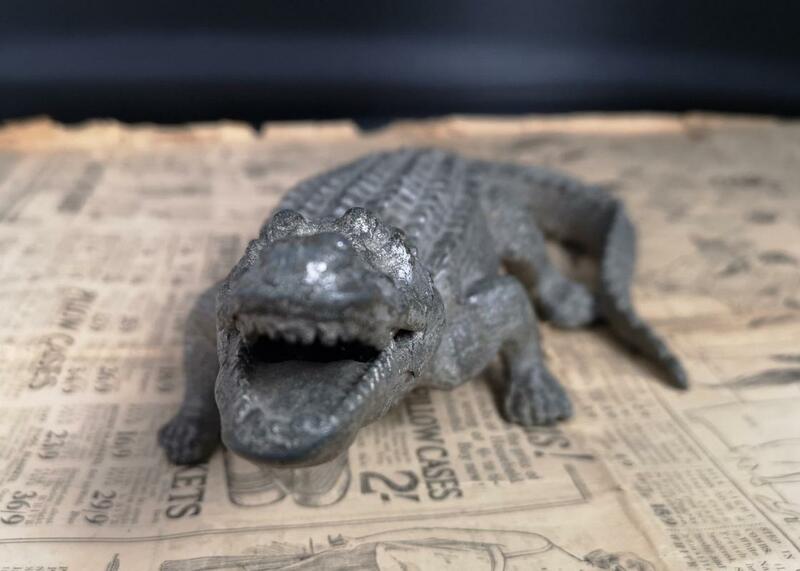 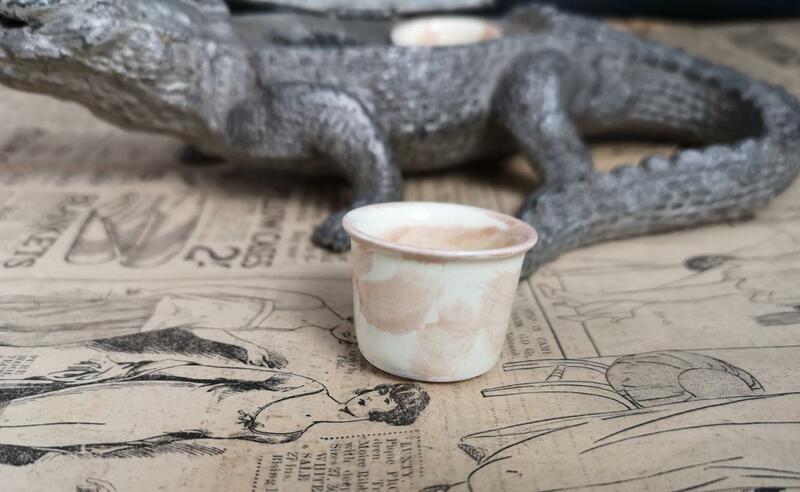 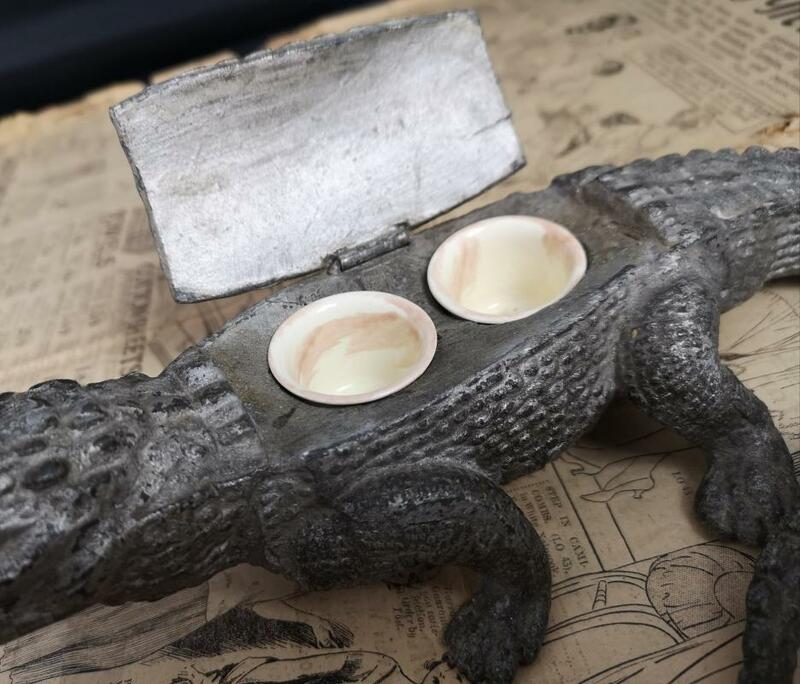 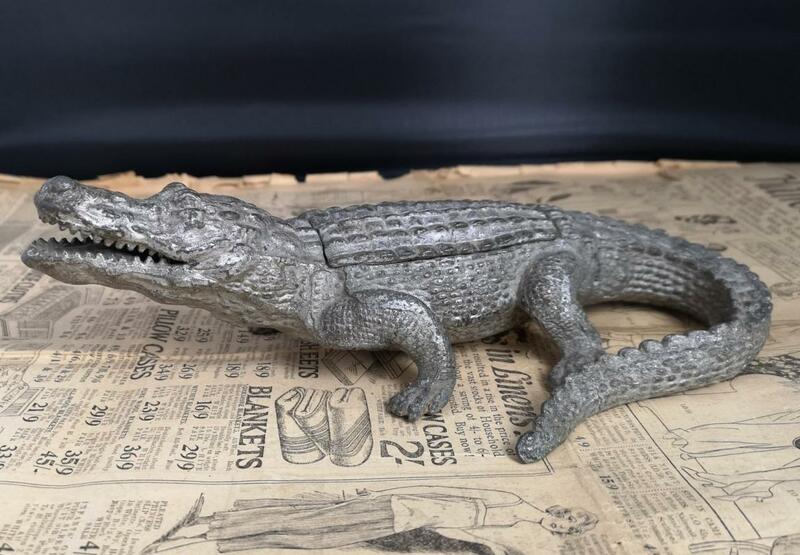 Cold painted spelter crocodile with both the original ceramic ink pots which are a white glazed earthenware both marked on the base H.
It is very realistically modelled and finished in a silvery gray. 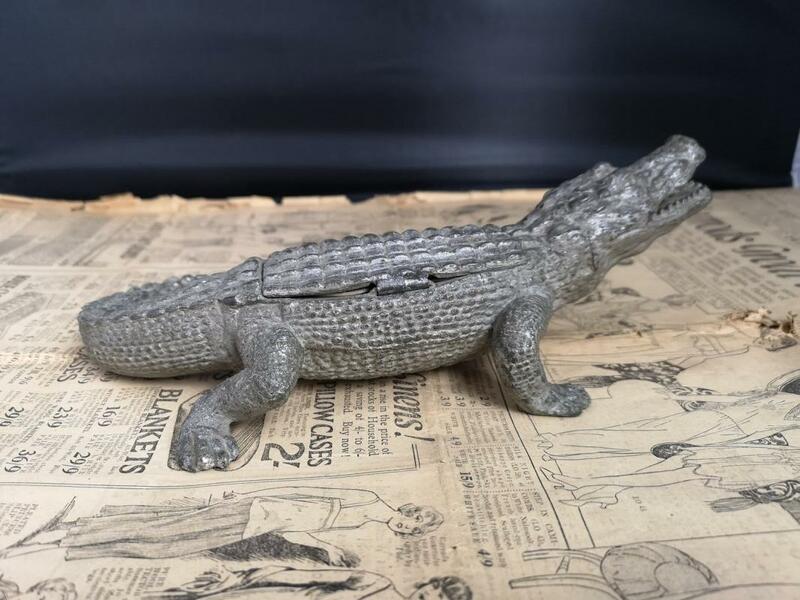 His back opens up to revel the inkwells which are removable. 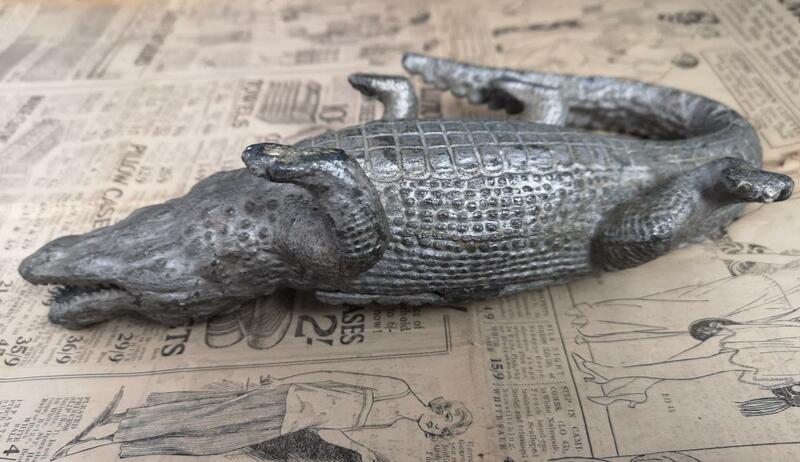 Overall condition is very good, ink pots have no chips or cracks, surface marks on the spelter internally. 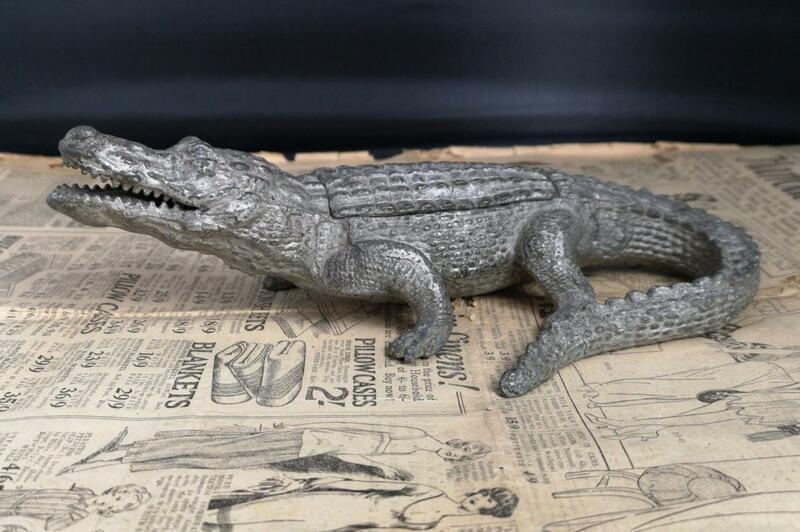 Approx 10" in length, 6.5" width and 2.5" height.